Adreno Womens Neo Fusion 3/2mm Back Zip Steamer is a easy to wear high-stretch wetsuit that leaves no feature unconsidered. The inclusion of Glued and Blind-stitch seams, 100% thermal lining and the smooth-skin torso panels ensure the thermal retention qualities we've come to expect from a great value wetty. All entry level wetsuits, or at least what you find priced similar to this suit, use the flatlock stitch which creates a million pinholes and turns your seams into sieves. The Glued and Blind-stitched seam implemented in this suit does not create pin-holes because of it's hooked needle which penetrates only 1/3 of the neoprene. This is then reinforced with an elastic glue that not only greatly bolsters the seal but improves overall durability of the seam itself. The thermal lining that graces the entire inside of this suit not only creates a more supple feel against your skin but works to keep your core warmer by wicking cold water away from your core, this occurs because the internal lining is waterproof! You can see this in the last picture. If you want to learn more in order to make an informed decision hit our video/blog links just below! 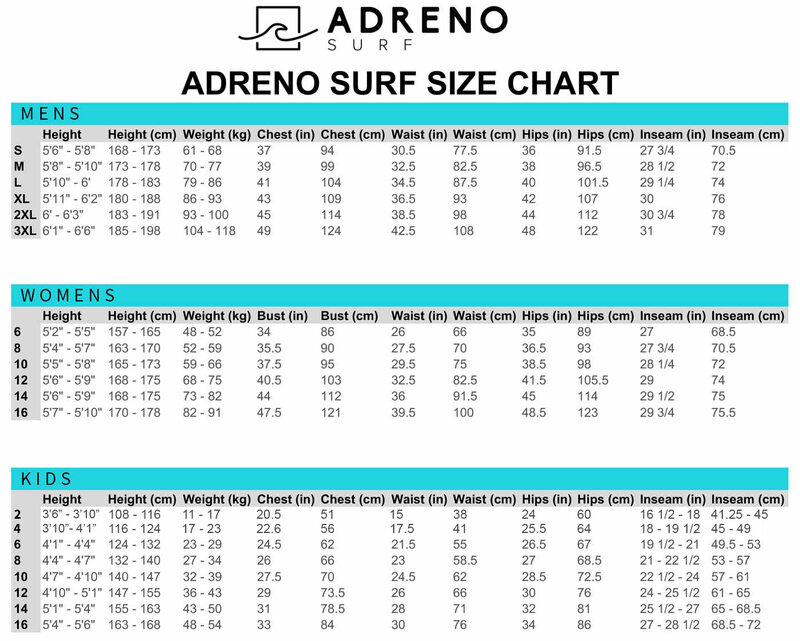 Watch our hands-on review of the Adreno Neo Fusion Wetsuits. Glued and Blind-stitched seams - The GBS seam is highly stretchy and sealed against water. This is the ONLY steamer with a sealed seam under $100. If you want to get informed, hit out video and blog about seams. 2mm Neoprene: around the sleeves to put less resistance on your paddling. Full Internal Thermal Lining: Adreno have implemented a thermal lining throughout the suit's internals. This makes the suit not only supremely comfy because of it's fabric like finish but wicks water out of the suit, resulting a dryer and more comfortable wetty.